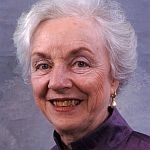 (HOST) Commentator Madeleine Kunin has been working to improve environmental education – in China. (KUNIN) On my recent trip to China, with its more than 1.4 billion people, I didn’t dare reveal the population of the state of Vermont – at 600 thousand. I’m sure they think we are at least as big as Texas because Vermonters have three projects in China designed to help them begin to address their enormous environmental, energy, health and safety problems. The Institute for Sustainable Communities, a non-government organization based in Montpelier, which I started after I left the governorship in 1991, has launched three programs in Guangdong province – that’s the region where most of the factories are that produce 30 percent of the world’s manufactured products. To get the picture, there are more factories in that province than in all of the United States. I was there on a celebratory day of speeches and panels with the President of Sun Yat-sen University, U.S. foreign aid officials, Chinese officials, factory owners, foundations and American corporate sponsors. It’s a unique collaboration of stakeholders. We’re providing environmental education in three communities – and helping them develop their own energy efficiency plans with grass roots participation. The most far-reaching program is a training academy for environmental, health and safety factory managers based at Sun Yat-sen University. The goal is to train 1,000 managers in the first year. They seem eager to learn. While there, I met with a group affiliated with Vermont Law School. Coincidentally, their effort to strengthen environmental and energy laws in China is located at the same university. Champlain College’s Woodbury Institute is the third player. They’re working to teach mediation skills in partnership with the Center for Legal Assistance for Victims of Pollution. This country now produces more greenhouse gases than the U.S. and is determined to continue down the path of rapid growth. Their challenge is not to write new laws, but to enforce existing ones. Now, can the small state of Vermont have a real impact on China, when we are so different in almost every respect? The simple answer is – you have to start somewhere. The good news is that the Chinese officials appear to be receptive to these partnerships, as long as we are sensitive to their history and culture. In my speech to the audience on "launch day" I praised China for its economic miracle, which has pulled millions of citizens out of poverty. I concluded if they could achieve so much progress in such a short time – even at a great price – surely they could create an environmental miracle of equal magnitude. It is not only in their interest to succeed, but the future of our planet depends on it.